The world of open top touring has been redefined. 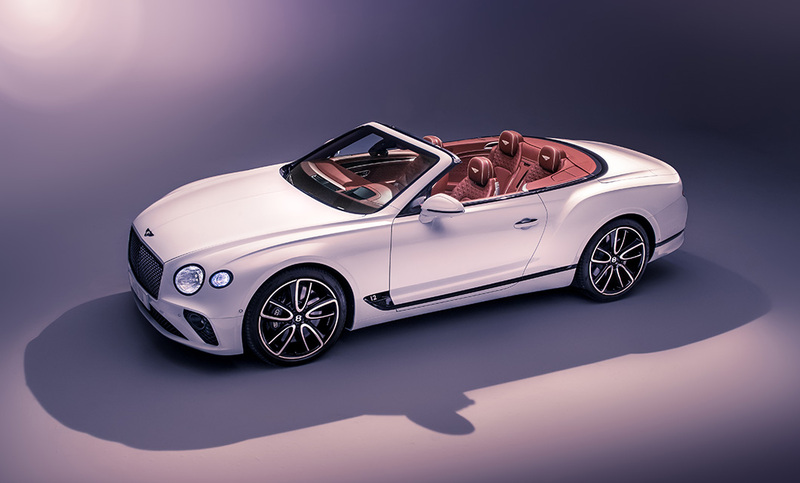 The most finely crafted grand tourer has now lowered its roof to bring you the New Continental GT Convertible. 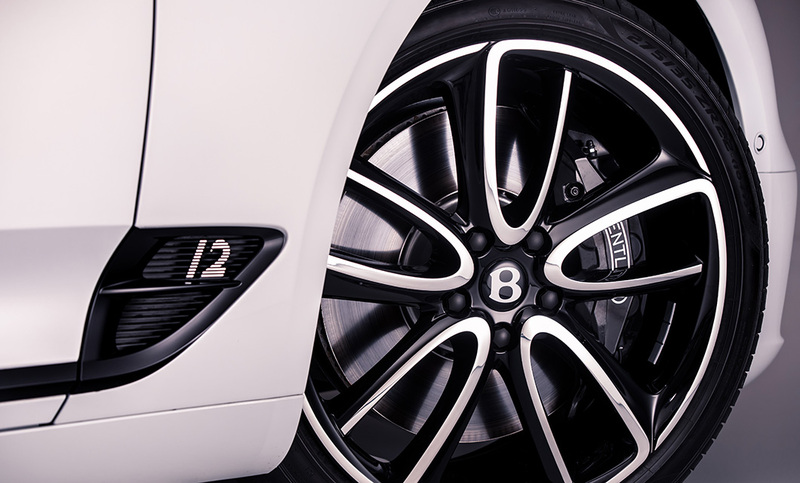 Rybrook Bentley Bristol will be delighted to guide you from specifying your new car and continue a high level of service through to delivery and maintaining your vehicle with our dedicated aftersales team. The newly announced Continental GT Convertible has already been well received by the likes of Top Gear, the Telegraph and Forbes. Whilst sharing the same beautiful styling of the New Continental GT, the New Continental GT Convertible elevates to new heights. Featuring sleek Bentley design language, characterised by sharp lines which sweep the length of the car, it is every inch a grand tourer. Power and presence can be felt with the low, wide proportions and is emphasised in every detail, from crystal-effect LED matric headlamps, to LED tail lamps that resemble red illuminated gemstones. Of course, the main difference is the sophisticated roof, which comes with a choice of fabrics enabling you to put a personal stamp on your car. The spirit of grand touring is epitomised in the New Continental GT Convertible, creating a desire to drive the world’s finest roads in comfort, exhilaration and style. That’s why the 6.0 litre Bentley 12-cylinder engine beneath its bonnet delivers the perfect fusion of power and refinement. With an 8-speed dual-clutch transmission for smooth, fast gear changes, it can accelerate from 0 to 60 mph in 3.7 seconds reach a top speed of 207 mph. Whilst travelling at speeds of up to 30 mph, the roof can still be open or closed in a minimal 19 seconds. As you’d expect from Bentley, personalization of the new Continental GT Convertible is practically limitless. Expect a wide choice of leather hides, luxurious veneers and pristine stitching along with a wide range of exterior colours. 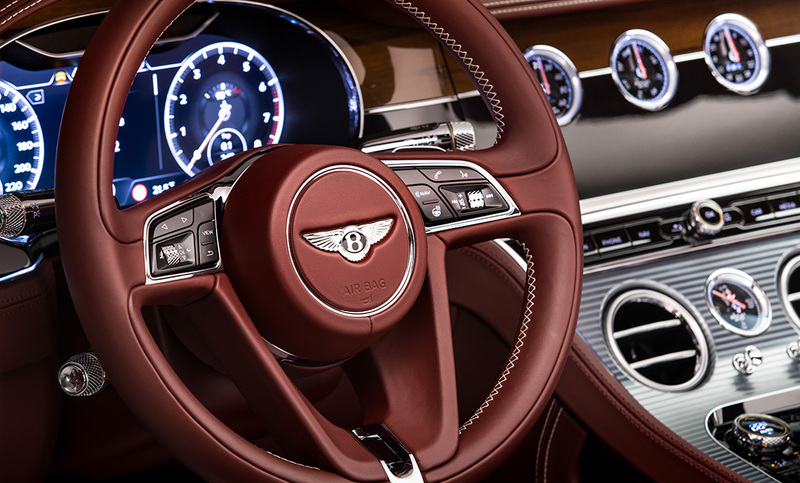 That’s why Bentley gives you the opportunity to choose from a range of seven different hood finishes, including a contemporary new Tweed option. A further eight options are available for the roof headliner – the innermost layer in a four-layer insulating roof that’s so secure and peaceful when closed, it can be easy for both driver and passengers to forget that they are travelling in a convertible. Below are the technical specifications for the New Continental GT Convertible. The data displayed above details the usual specification of the most recent model of this vehicle. It is not the exact data for the actual vehicle being offered for sale and data for older models may vary slightly. To help you understand the technical data read our terms and conditions. Interested in a New Continental GT Convertible? Get in touch with Rybrook Bentley and member of the team will be happy to help with your enquiry. 1. ^At the end of the agreement there are three options: i) pay the optional final payments and own the vehicle, ii) return the vehicle: subject to excel mileage and fair wear and tear, charges may apply; or iii) replace: part exchange the vehicle. Retail sales only. *Payable with first payment. **Payable with the optional final payment. # 72p per mile excess mileage charges apply (incl. VAT). Further charges may be payable if vehicle is returned. 18s+. Subject to availability and status. T&Cs and exclusions apply. Indemnities may be required. Offers are not available in conjunction with any other offer and may be varied or withdrawn at any time. Valid for 30 days from 12.12.18. Freepost Bentley Financial Services. Rycliff Cars Ltd t/a Bentley Bristol is registered in England and Wales with registered number 02670570. Its registered address is 6 Athena Court, Athena Drive, Tachbrook Park, Warwick, CV34 6RT. Rycliff Cars Limited t/a Bentley Bristol is an Appointed Representative of South Quays Limited who is authorised and regulated by the Financial Conduct Authority (FCA) for insurance distribution activity only (Firm Reference Number 528881). Rycliff Cars Limited is authorised and regulated by the Financial Conduct Authority (FCA) for consumer credit activity (Limited Permissions) (Firm Reference Number 675023).